Great Home Needs some Updating! This Ranch Home Offers Over 1100 Sq. Ft. And A Full Basement That Has Been In The Family Since the 1950's! The Great Price On This Home Is Deceiving. It Is Completely Move-In Ready, Just Requires The Updating To Bring It To The Beautiful Finish It Once Had. A Large Eat In Kitchen Is Divided By A Breakfast Bar And Hanging Cabinets And Appliances Will Stay! A Big Picture Window By The Dining Area Makes a More open Appearance. Everything is in Great Condition for its age so no Reason you can't work as with it as you go. Big Living Room is Carpeted and has a Large Window. In the hallway is a coat closet and a Big Storage area with Attic Access. The full bath has a lot of room with a Tub and a Shower and storage space. Three Bedrooms complete the floor plan, 2 have carpet and 1 has hardwood and the owner thinks there is hardwood in the other 2 and possibly the living room. A Full Basement is divided into 3 different sections including a workshop and a Laundry Area. A Half Bath was updated in June 2017. Some of the newer aspects of the home are the Updated Electrical, a repaired and waterproofed wall in the basement in 2013 and has been dry since. Vented Block Windows installed in basement also done at that time. 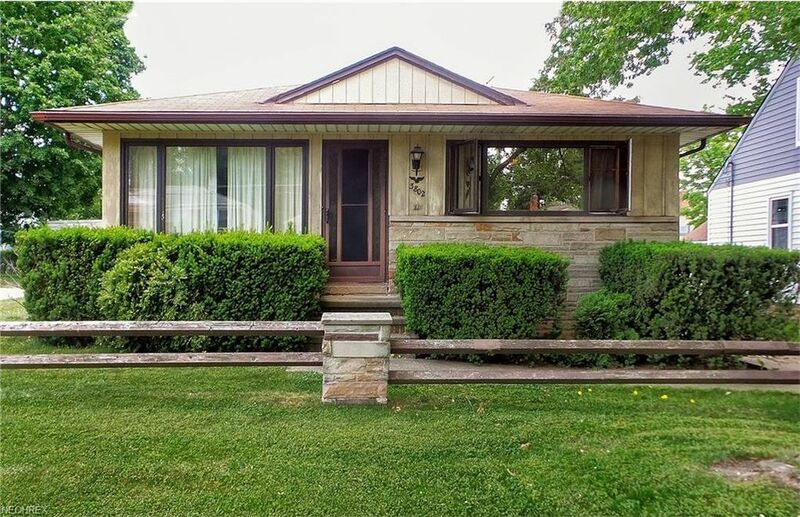 Finishing off the home is detached garage and a good sized lot with a brick wall in the back. At this price, this bargain is a Must See! You will be pleased with what you are getting at this price!